“Al Jazeera? means “The Island? in Arabic which is taken to mean the Arabian Peninsula. This is an important part of the Middle East and Arab world not least for its huge reserves of oil and natural gas and is home to 80 million citizens. Al Jazeera English is a 24-hour English language television news channel owned and funded by the House of Thani’s Al Jazeera Media Network based in Doha, Qatar. The House of Thani has been the ruling family in Qatar since the 19th century and is currently presided over by Sheikh Tamin bin Hamad Al Thani. Al Jazeera English is part of the Al Jazeera Media Network, a multinational multimedia corporation with the current Sheikh as their Chairman. They have 82 bureaus around the world meaning that they are second largest to the BBC. 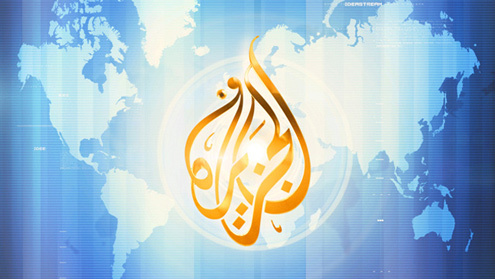 Al Jazeera English is just one business operation of the Al Jazeera Media Network. The main Al Jazeera news channel delivers news in Arabic whilst Al Jazeera English delivers news globally in the English language. The news channel is on channel 514 for Sky boxes, 83 on Freeview and 622 using Virgin Media – it is free to air and globally broadcasts to nearly 140 million households in more than 100 countries. In 2003, Al Jazeera hired its first English language journalists, poaching some from CNN, Sky News and some the BBC including Sir David Frost. They were lured by lucrative salaries and excellent working conditions. Al Jazeera English, however, wasn’t launched until 2006 and is known as the sister channel to Al Jazeera America. Following the conventions of most 24-hour rolling news channels it broadcasts news features and analysis, documentaries, live debate, current affairs, business news, technology and sports.